Click below for the last two days’ of 30 Day Shred Updates. I didn’t shred yesterday, but I did today. I also updated my Calorie Counting page. Yeah, sorry the lighting is really …bad. It was quite dark in there! 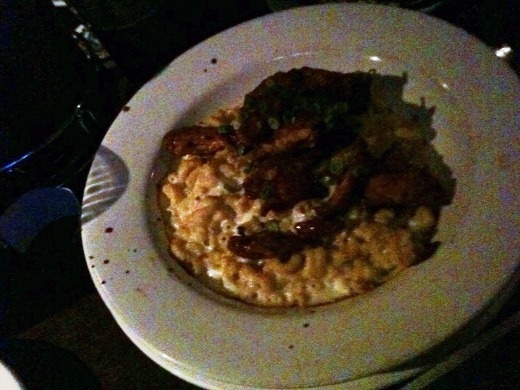 So much macaroni = so filling! I ate half of this. It was very blue cheesy (mmm) and the chicken was realllly good. I tried Sudworth Bock (“a strong, dark, luscious lager”), and Chocolate Stout on draft and preferred the Stout (which was more coffee-tasting than chocolate-y to me), both on draft (and brewed on-site!). 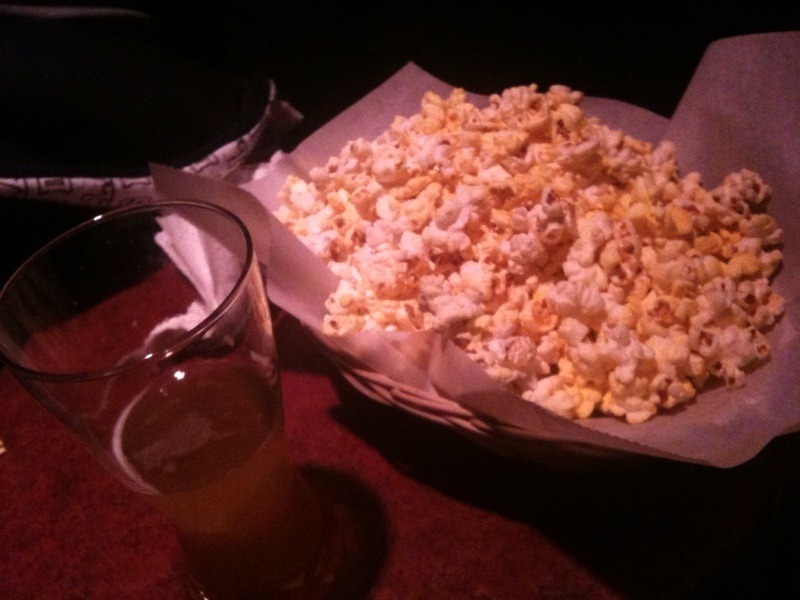 Nibbled…er… Inhaled lots of popcorn and Bell’s Winter White Ale at AACS, where we saw Vince Morris perform (and a couple other openers). 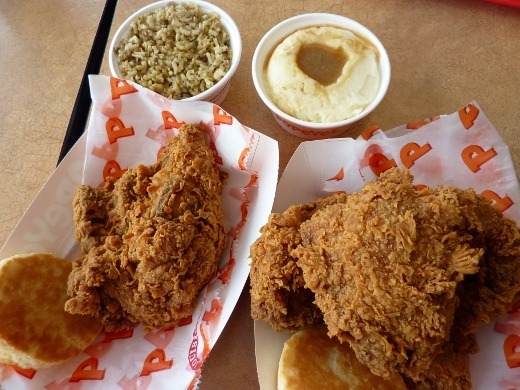 Tom’s birthday request was Popeye’s chicken, but we never got a chance to get it last weekend, so today we fulfilled his craving. I can’t lie – it was good. As much as I hate to admit it. I’m really excited for dinner tonight!! I am trying two recipes out of my new Comfort Food Diet cookbook from Taste of Home. Currently listening to: Creep – Radiohead.